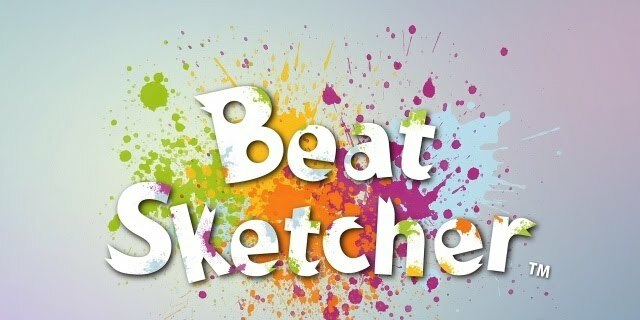 Beat Sketchers uses the PlayStation move’s sharp motion control to bring you a game where making art can be fun yet challenging. Players can create highly detailed artwork, take part in challenges or go head to head with each other in series of entertaining stages. The motion controls are sharp and responsive and this is mainly thanks to the game having you calibrate the move before you even start doing anything. This is done in a step by step process and is great in terms of you being able to take your time to set things up and for gamers that are new to the PS Move. Creation mode is where most of the magic happens as you or a few friends, use your imagination and the many tools available to fill up the screen before you but before you start painting away, it gives you the option to either start with an empty canvas, a canvas with a pre-loaded illustration or choose an image from the XMB menu to work from but I know most would rather start with a blank canvas. Now that you’re ready all that’s left for you is to use all that is available to create your masterpiece, from paint brushes to spray cans to paint buckets. 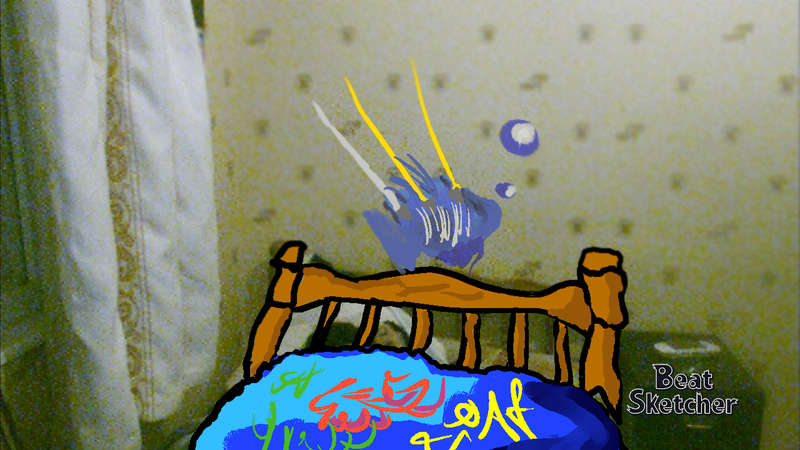 Awesome artwork of a fish and a bed, created in Beat Sketcher. After Creation mode, there’s Challenge mode which requires you to complete set images, spanning across twelve stages… easy right? Well that’s not all because in order to complete these images you must do it in time with the music playing. These stages provide a fun challenge for those who came looking for one as the music’s speed changes after every stroke, this means that difficulty levels are absolutely unpredictable but that’s one factor that makes this mode really stand out. Match mode can be played either on your own or with a group of up to four people. We’ll be looking at both the single player portion and multiplayer portion below. The single player portion consists of three challenges. 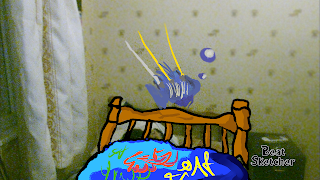 Paint challenge which requires you to fill up the screen with as much paint as possible within the time limit. Line challenge which has the player draw a line as long as possible within the border on the screen. Rainbow challenge which is kind of like connect the dots where you must connect several specified shapes together without touching any of the others. 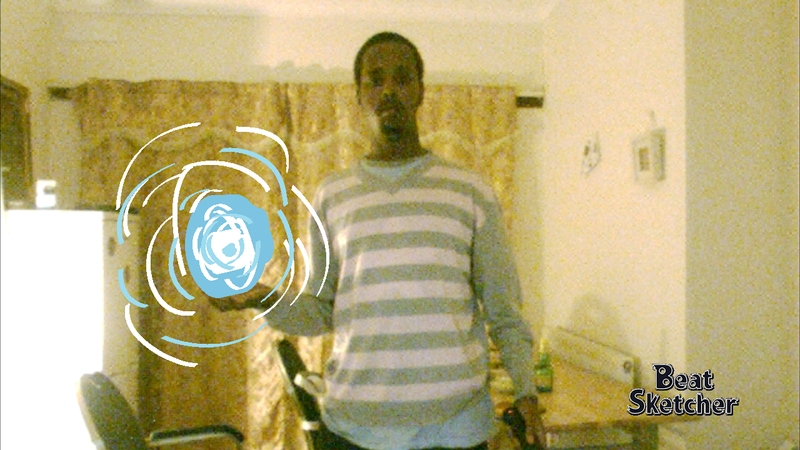 Me, holding a badly drawn rasengan. The multiplayer portion is where the competition starts as you and three other friends can go at it. The multiplayer side consist of six modes, two which are derived from the single player portion. Paint Battle which is similar to Paint challenge where each player takes it in turn to fill up the screen with as much paint as possible. Line Battle which is similar to Line challenge where each player tries to draw the longest line using the space on the screen. These two modes really don’t add a huge sense of competition between players and since you would have had a go at it in the single player part, you probably won’t be seeing them again. Theme battle where a theme is given at the beginning of play and each player must draw an image related to it. This is the mode which entertained me the most as the themes went from artist to advert so you could never guess what would come up next. This is where a line or a stroke is already drawn on screen and you must use your imagination to turn that stroke or line in to a masterpiece. This mode is practically the opposite of Theme battle whereas here you must come up with your own idea. This in my opinion puts this mode above rest because it’s one of those challenges that really try to push you and bring out that sleeping artist . This mode is similar to theme battle but with a twist. Instead of pitting you and you’re friends against each other, you work together this time to create the announced theme. Each player is only allowed one stroke each so as soon as you take your brush off the canvas, you have to pass It over. Four-Frame Relay again is a team based mode where players are given the chance to create a four-frame comic strip based on a given theme. This mode is probably one of the simplest multiplayer aspects but one of the best in terms of multiplayer in gaming. 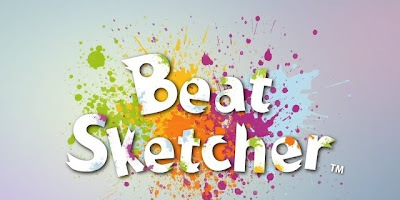 Beat Sketcher is definitely the most unique game that the PS3 has to currently offer and with the added addition of the PlayStation Move makes it an enjoyable, everyday experience for professional artists and people who just like to draw.